Registration/Tryouts: The Mt. 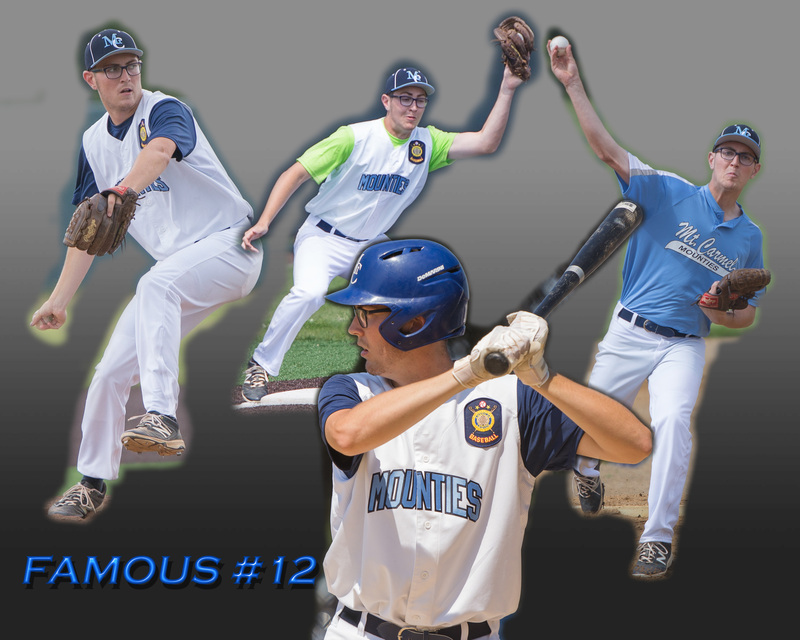 Carmel Mounties American Legion Baseball Club will hold registration/tryouts for the 2019 American Legion Baseball Season for players age 19 and under. Players are eligible if they reside in Plymouth Township, Conshohocken Borough (west side of Fayette Street and west), or a portion of Norristown Borough. Registration/tryouts will be held in person on Saturday April 13, 2019 from 3-5PM, and Sunday April 14, 2019 from 3-5PM; at the Colonial Middle School 716 Belvoir Rd Plymouth Meeting, PA 19462 – REAR baseball field. Please arrive by 2:30 PM on both dates to register. This event will be conducted rain or shine on both dates. If you have any questions, please contact Tom Longo @ 484-680-4521. Congratulations to Mt. Carmel Mounties Dillon Famous and Steve Longo . Dillon Famous was named the GNALBL 2017 Co-Pitcher of the year, after finishing the season with a 4-1 record and an ERA of 1.15. Steve Longo was named the GNALBL 2017 League MVP. Steve batted .344, and led the team in hits, RBI’s, home runs, triples and doubles. The Mt. Carmel family is proud of these two players and these honors were well deserved. PLYMOUTH TWP- The walls of the Mt. Carmel Sports Club are a virtual trip back in time. Faces of local Italians that look like they could have been in photos taken at almost any family dinner in any household throughout the Norristown and Plymouth communities bring a sense of tradition to a building that, over the years, has been at the heart of so many great memories for so many people. Move a little further down the walls, and evidence of memories of another kind can be found, as team photos of the Club’s American Legion baseball squads loom large over the bocce courts that are so new you can still smell the sawdust. The Mt. Carmel Club has sponsored American Legion Baseball since as far back as most of its living members can remember, and that results in a very strong sense of pride each summer when the Mounties take the field to begin another season. The hopes of success and championships are renewed each season, but for the last 33 years, that championship trophy has proven to be elusive. The team came close in 2008 and again last season, but ultimately, the drought continued. 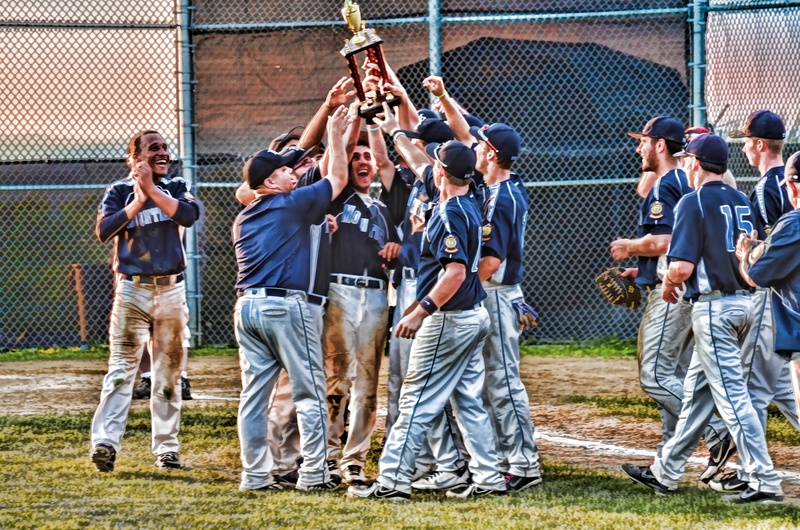 On Tuesday evening, July 16 however, that drought finally came to an end as the Mounties defeated J.P. Mascaro 2-1 to win the Club’s first Greater Norristown League title since 1980. With tradition being such a core characteristic of the program, it was only fitting that two Mounties veterans took the spotlight on this night. 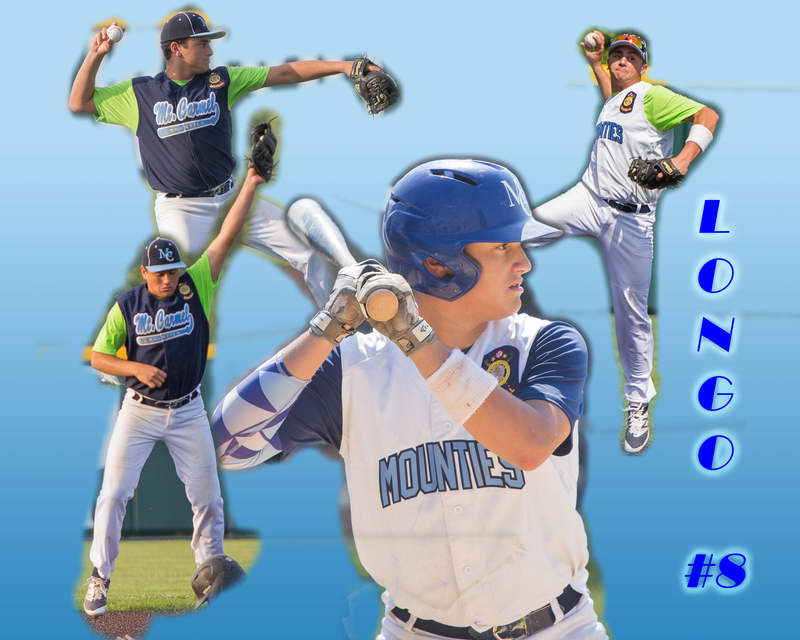 Corey Ensslin, in his fourth and final season with the Mounties, took the mound and set the pace from the first inning on to earn the biggest victory of his legion career. Fellow veteran Jeff Mikalonis, in his third season with the Mounties, helped that victory come to fruition with his own magic in the 7th, going back and up the hill in centerfield to make a catch for the second out that can only be described at the very least as spectacular. As the Club looks to add to its décor of team and community photos, it will now need to find space for the league championship trophy that manager D.J. 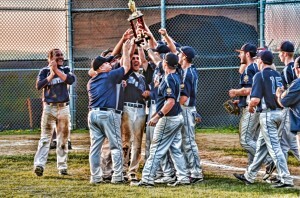 Santoro and the rest of his team hope will be sitting next to more hardware as the Mounties move on to the Pennsylvania American Legion Region 3 Tournament this weekend. Regionals action begins Saturday at Falls Township, with the game time and opponent to be determined.